(Wild Sarsaparilla (Aralia nudicaulis) - 03) The flowers of the wild sarsaparilla can only be seen by looking at an angle through the leaves or under the plant, as in this photo. 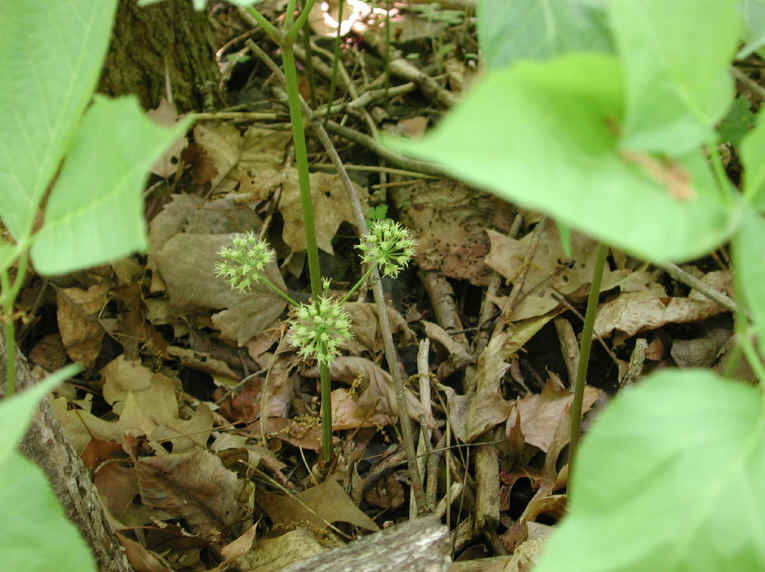 The flower stalk grows separately from the ground, adjacent to the leaf stalk which can be seen rising much higher than the flowers. At the top of the photo, the leaf stems can be seen branching from the main stem. We have also observed that only a fraction of the wild sarsaparilla plants have flowers.